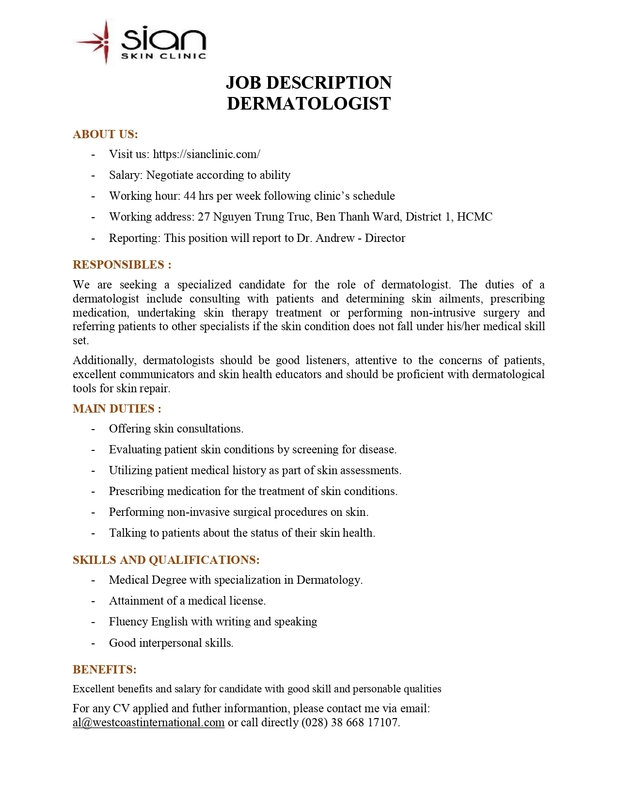 We are seeking a specialized candidate for the role of dermatologist. The duties of a dermatologist include consulting with patients and determining skin ailments, prescribing medication, undertaking skin therapy treatment or performing non-intrusive surgery and referring patients to other specialists if the skin condition does not fall under his/her medical skill set. Additionally, dermatologists should be good listeners, attentive to the concerns of patients, excellent communicators and skin health educators and should be proficient with dermatological tools for skin repair. Evaluating patient skin conditions by screening for disease. Utilizing patient medical history as part of skin assessments. Prescribing medication for the treatment of skin conditions. Performing non-invasive surgical procedures on skin. Talking to patients about the status of their skin health. Medical Degree with specialization in Dermatology. Attainment of a medical license. For any CV applied and futher informantion, please contact me via email: or call directly (028) 38 668 17107. Chứng chỉ/ Bằng: IELTS,TOEIC ,Chứng chỉ máy tính. 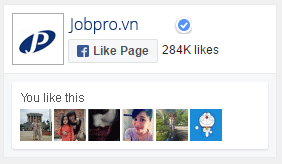 Điều kiện ưu đãi: Bãi đậu xe,Bảo hiểm.